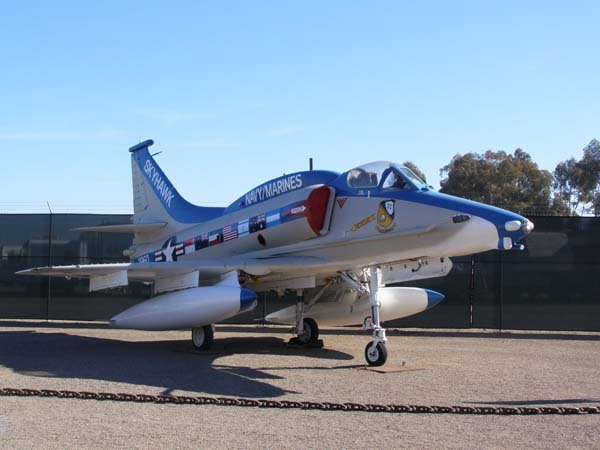 The Douglas Skyhawk A-4M II jet fighter is one of the successors to the AD Skyraider (A-1 Skyrider) piston-engine aircraft. The United States Marine Corps ordered the “Ultimate Skyhawk” a step up from the others A-4’s. The A-4M II features a J52-P-408 powerplant that provided for increased speed and range. Stepping up the Skyhawk A-4MII also features a enlarged canopy for improved pilot viability, a doubled MTOW capacity from the other A-4’s that provided for a increased array of weaponry to be fitted.